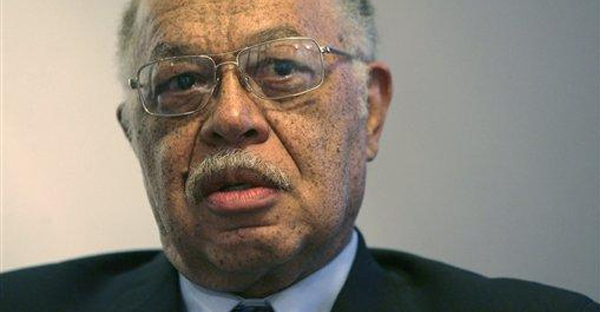 Abortionist Kermit Gosnell, who ran the “House of Horrors” abortion clinic in West Philadelphia that was shut down after an FBI raid in 2010, faced the jury for the first time Monday in a case with high stakes: Gosnell faces the possibility of the death sentence if found guilty. Gosnell, 72, is facing capital murder charges for allegedly severing the spines of at least seven babies born alive at his filthy abortion center. He is also facing one additional count of third degree murder for the death of Karnamaya Mongar, 41, who sought an abortion at his clinic and was given a lethal overdose of medication. Eight former clinic workers have already pled guilty in connection with the alleged murders, including Gosnell’s wife. Most of them are expected to testify against Gosnell during the trial, which is expected to last six to eight weeks. In his opening remarks, Gosnell’s lawyer, Jack McMahon, said the details of the case would be difficult for everyone in the courtroom to hear, “because we all love babies.” However, he said the city cannot prove that the seven babies his client stands accused of killing were born alive. While five of the murder charges are based on the word of Gosnell’s staff that the babies moved or cried after birth, prosecutors possess a photograph of one baby who was born at 30 weeks, and the physical remains of another baby. McMahon appealed to the mostly-black jury, accusing the city of perpetrating a “prosecutorial lynching” upon his client, who is also black. “This is a targeted, elitist and racist prosecution of a doctor who’s done nothing but give to the poor and the people of West Philadelphia,” said McMahon. But prosecutor Joanne Pescatore accused Gosnell of preying on the poor and desperate by selling illegal late-term abortions. She alleged he cut costs by using unlicensed staff, outdated drugs and unconventional methods, often forcing women to deliver live babies that he or his staff would then kill, usually by “snipping” their spines with scissors. Pescatore said it was Gosnell who was the racist one. She alleged Gosnell gave superior care to white women, placing them in different rooms, giving individual attention to each one, and ordering staff to constantly monitor their care. The first witness called to the stand was FBI agent Jason Huff, who was part of the team that raided the facility in 2010, in what was meant to be a drug bust. Huff said the FBI had intended to investigate whether Gosnell had been selling illegal prescriptions for narcotic painkillers, and had chosen the timing of their raid specifically to avoid being seen by any patients. The agents expected to find Gosnell alone at the facility and interview him. Instead, they walked into a “House of Horrors,” as District Attorney Seth Williams described it in 2011 – a dirty clinic filled with moaning, bleeding, heavily medicated women in tremendous pain. The women in the worst condition were taken by ambulance to local hospitals, but the agents allowed Gosnell to complete the other abortions before submitting to questioning. Defense lawyer McMahon addressed Gosnell’s lack of cleanliness and professionalism in his remarks, complaining that it was unfair to expect an abortion clinic serving poor women in a “nitty-gritty” neighborhood to meet the same medical and cleanliness standards as a respected medical facility. What Do You Mean By Abortion?